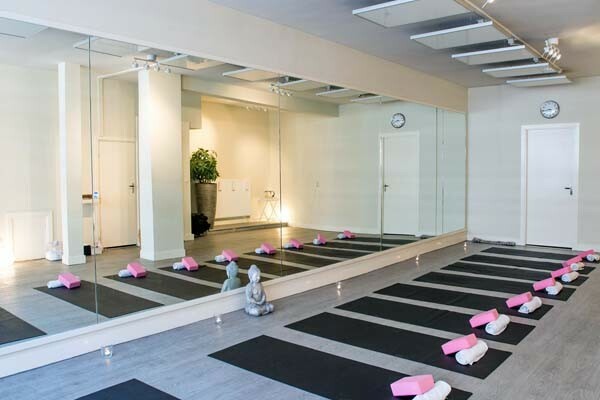 Koninginneweg in peaceful Oud-Zuid is home to the Hot Flow Yoga Zuid studio, just a stone’s throw away from one of Amsterdam’s many picturesque natural jewels, Vondelpark, offering the perfect setting for yoga practice steps away from the green. Our lessons are taught at a room temperature of 38 °C, at Hot Flow Yoga, we use infrared heating panels. Just like the sun, its rays will warm you from the inside out, heating the room only when you do, helping your body to detoxify in a safe and efficient way. This makes infrared heating not only the healthiest option for you, but also the friendliest one for our planet. The state-of-the-art infrared panels heat the body from within, waving goodbye to the many yoga studios that feel moisty and stuffy. All of our studios offers a fully equipped shower where you can refresh after your workout. We will also have a yoga mat and a fresh towel ready for you so you will not have to carry these around to and from your yoga practice! Joanna, originally from Mexico, founded the first Hot Flow Yoga studio in the Zuid neighborhood. Joanna has been a ballet dancer since the age of 8 and became a professional ballet dancer at the age of 16. She has danced in the English National Ballet, Hong Kong Ballet, and Dutch National Ballet as well! She practiced Yoga throughout her dancing career and became a certified Yoga teacher about 5 years ago.